Welcome to the Tinman 3D Software Development Kit. You are reading the user manual. The current version of the Tinman 3D SDK can be downloaded from the Release Notes page. A preview version of the next release can also be downloaded from there. The download packages are password protected; the password can be found by reading the Terms and Conditions. Download and evaluation of the Tinman 3D SDK is free. Tinman 3D is a collection of software libraries and stand-alone tools. 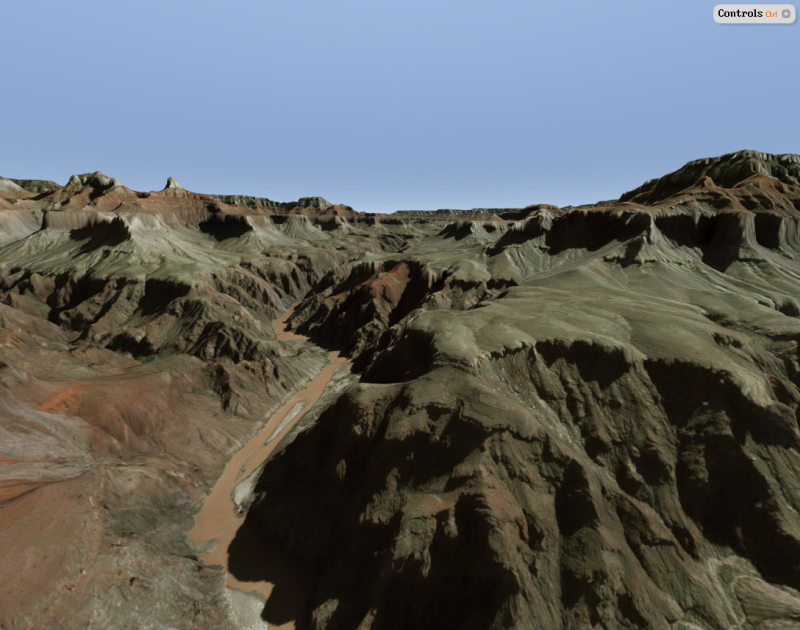 Its purpose is to analyze, process and visualize 3D terrain data. You are not limited to the provided PAL implementations; it is possible to implement your own ones or to modify the existing ones (see Source Code Licence). You are not limited to the provided GAL implementations; it is possible to implement your own ones or to modify the existing ones (see Source Code Licence). Tinman 3D includes an application framework (see IApplication), which is used by several plug-and-play application widgets (see IWidget). These components are built upon the low-level API of Tinman 3D and implement commonly used functionality. 1) Built-in application window for stand-alone use (see ApplicationWindow). You are not limited to the provided implementations; it is possible to implement your own ones or to modify the existing ones (see Source Code Licence). The maximum size of a geodata raster or texture that Tinman 3D can use is 2^30 by 2^30 samples. In other words, Tinman 3D will easily manage a terrain texture or DEM of 1.073.741.824 by 1.073.741.824 samples for you. With these dimensions, the Earth can be captured at a ground sample distance of 9mm, globally. Other engines and technologies recommend to use DEM rasters only up to a size of 8.192 by 8.192 samples. Some technologies out there have megatextures of 65.536 by 65.536 texels, plus minus a few powers of two. Please judge for yourself how this compares to Tinman 3D. 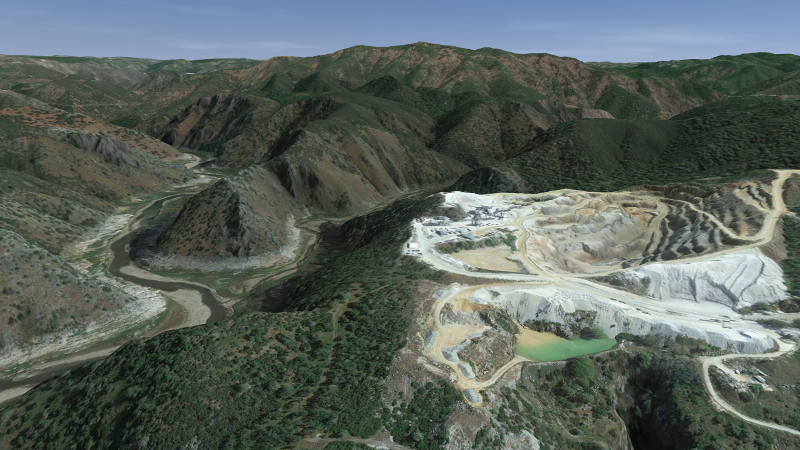 Tinman 3D has its own proprietary storage format for geodata rasters and gigatextures. Datasets support lossless compression, sparse data and dynamic updates. This takes away all groundwork when importing geodata; Tinman raster datasets will just grow and adapt as you import your data. The next time your engine is asking you about the dimensions of your terrain and how to partition it, give it a second thought. With Tinman 3D, this question is no longer necessary. Datasets do not have to be provided as file-based rasters, data can also be computed at runtime. This is great if you have a procedural model that computes geodata or if you are using vector data to shape the terrain (for example roads). With Tinman 3D, there are almost endless possibilites on how to combine, merge and adapt geodata at runtime. Once you have your datasets ready, you can plug them together at runtime in any way you want. You specify how much memory and CPU resources Tinman 3D shall use, and it will adhere to your specifications. The other way around, Tinman 3D will scale with your system and can utilize all memory and CPUs on a high-end multi-processor machine. The Tinman 3D SDK is composed of several components. Implements asymmetric decryption for licence keys, performs licence checks and unlocks initialization data which is required by other SDK components. This component is provided as a separate binary and cannot be embedded into applications. A concise bootstrap library that provides common runtime semantics for the C# and C++ editions of Tinman 3D. The Core library contains provides general-purpose functionality and PAL wrappers for system-specific APIs. The Terrain library is is the heart of Tinman 3D. It provides all terrain-specific features. The Engine library provides a light-weight engine for real-time 3D application. The Add-Ons library provides additional functionality for developing applications with Tinman 3D. It contains a real-time application engine and some ready-to-use widgets that are built on top of it. Use of the Add-Ons library is optional. This is a plugin for using the Open Asset Import Library (http://assimp.sourceforge.net) from within Tinman 3D. Plugin for using the Direct3D 9 rendering API with Tinman 3D. Plugin for using the Direct3D 11 rendering API with Tinman 3D. This is a plugin for using the Geospatial Data Abstraction Library (http://www.gdal.org) from within Tinman 3D. An MFC control that hosts an IApplication object. Plugin for using the OpenGL rendering API with Tinman 3D. A Qt widget that hosts an IApplication object. A DOT.NET WinForms control that hosts an IApplication object. A DOT.NET WPF control that hosts an IApplication object. The Demo Application showcases many features of the Tinman 3D SDK. Runs the Demo Application in a stand-alone window. The (re-)compiled application requires a licence key to run (User, Site or Academic). Runs the Demo Application in an MFC window. Runs the Demo Application in a Qt window. Runs the Demo Application in a DOT.NET WinForms window. Runs the Demo Application in a DOT.NET WPF window. This application does not require a licence key to run. The Workshop Application is a GUI application that exposes many features of Tinman 3D interactively. This application requires a licence key to run (User, Site or Academic). The Licence baKErY tool for generating licence key requests. The Geodata Processor is a command-line utility for importing geodata into Tinman 3D. To unlock a content archive (e.g. Source Code), the unlock key is sufficient to run tinmanpc, no other keys are required in this case. 1) Provided as a dynamic link library (e.g. DLL on Windows). 2) Provided as human-readable source code. 3) Provided as obfuscated source code (see Source Code Licence). 4) Provided as an executable (e.g. EXE on Windows). 5) Not yet available, see Availability Matrix for details.